It’s official – it’s here! 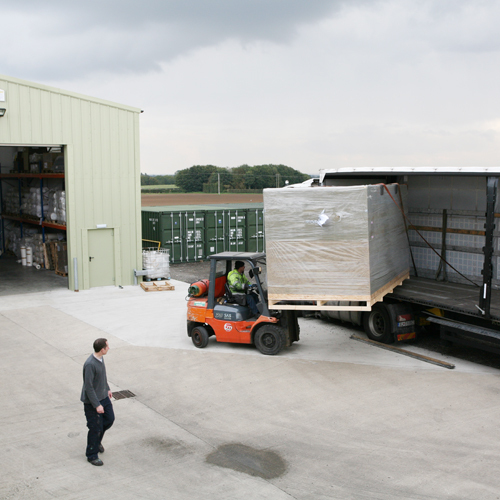 The new Aeoon digital machine is now in the factory and the engineers are arriving from Austria on Wednesday to commission it. We are very excited – the wait to get the machine up-and-running has been longer than we anticipated but we are hoping we will be able to start sampling and printing jobs next week. We already have orders for bags, cushions, tea towels, aprons and panels waiting to be sampled and printed. As soon as these prints start to roll off we will be publishing images on the blog. We will also have samples we can send out to interested customers. 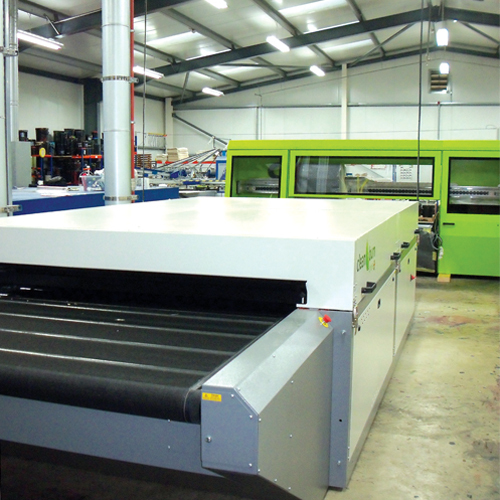 The digital machine is going to be perfect for customers wanting small runs of full colour printing and also for complex printing on to items such as canvas bags. It is also ideal for printing t-shirts including dark shirt printing as the machine is capable of printing whites. We will very shortly be publishing an article devoted entirely to the new machine on the blog. We have also been printing some great new products for our customers in the run up to Christmas. 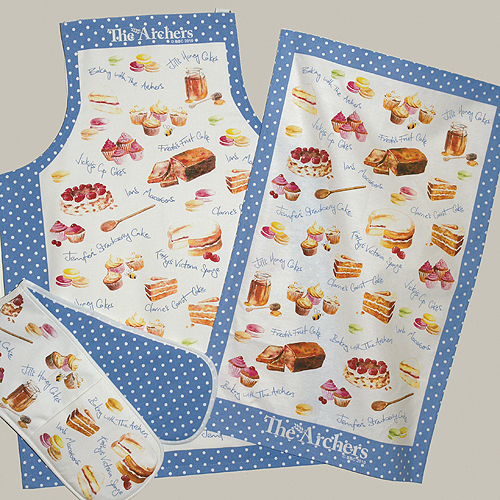 Our designers, in collaboration with the team at Archers Addicts, came up with this winning range of delightful ‘Baking With The Archers’ tea towels, aprons and double oven gloves. It seems to have hit the spot with the additional interest in home baking that programmes such as ‘The Great British Bake Off’ have generated. 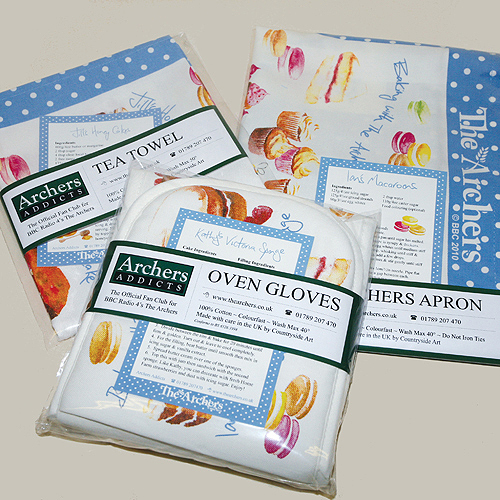 Added interest was also provided by each item being packed with a co-ordinated Recipe Card of one of the Archers character’s favourite recipes and personalised packaging – all printed here in-house at Countryside Art. We would like to thank the Archers Addicts team for allowing us to show the range on our blog. If you would like us to feature any of the products we have produced for you on our blog please let us know. We are also shortly introducing a Links page on the website for any customers interested in linking to our site.